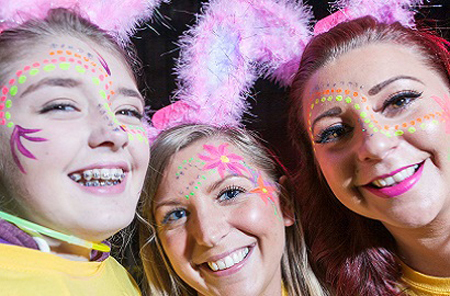 The Manchester Midnight Walk is back for 2016, and as its the 10th one, so it will be even bigger and better than before! The Manchester Midnight Walk is back for 2016, and as it’s the 10th one, so it will be even bigger and better than before! This is their biggest fundraising event of the year, and they need your support to make sure they raise more money than ever before to really celebrate their 10th birthday! The 10km route starts at midnight from Manchester Central and takes in some of Manchester’s most famous landmarks including the Hilton Hotel, Old Granada Studios, Spinningfields, MEN Arena, the Northern Quarter and past the Universities. The route is fairly flat and on footpaths and ends back at Manchester Central. Manchester Central is open from 9pm, where you can enjoy the evening’s entertainment, decorate your official t-shirt, and collect your goodie bag full of freebies and supplies to help you on your way. As you cross the finish line you can collect your medal to celebrate your achievement!